Istanbul-based artist Banu Cennetoğlu‘s work will be left in its current damaged state in order to highlight ‘systematic violence’. 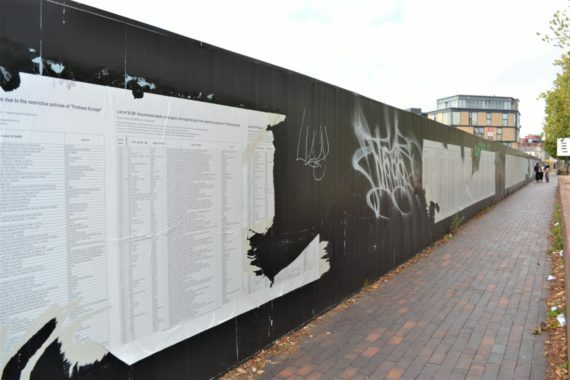 The List by Istanbul-based artist Banu Cennetoğlu, currently on display as part of the Liverpool Biennial, has been destroyed for a second time. The work on Liverpool’s Great George Street was produced for World Refugee Day and lists the names of the 34,361 refugees and migrants who have lost their lives trying to reach Europe since 1993. It was installed on a 280 metre-long hoarding as part of the festival. The Guardian newspaper published the work as a special supplement in June. 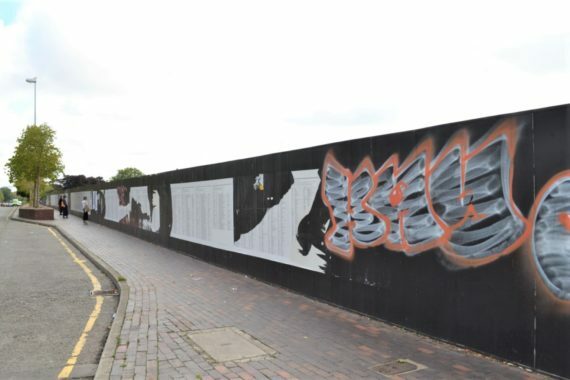 When it was previously torn down there were suggestions that a council worker had mistaken the work for illegal flyposters. However, this was denied by Liverpool City Council. In response to the latest attack, Cennetoğlu has said she will not install the work for a third time, instead leaving it in its current damaged state in order to highlight “systematic violence”. Despite the latest damage, some of the names are still legible, and the biennial plans to install a notice explaining why the others are missing and also directing visitors to a website showing the full list. A Liverpool City Council spokesperson said they hoped positives could come from the damage. They commented: “We are saddened by this mindless act of vandalism. 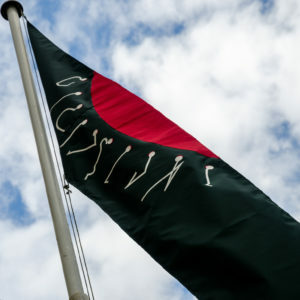 We have fully supported Liverpool Biennial for the past 20 years and stand shoulder to shoulder with them in expressing surprise and disgust at such a rare occurrence in the city. A solo exhibition of Cennetoğlu’s work is currently on show at Chisenhale Gallery, London and continues until 26 August 2018. 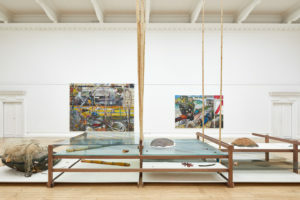 The Liverpool Biennial continues until 28 October 2018. 1-2. The List of 34,361 documented deaths of asylum seekers, refugees and migrants who have lost their lives within or on the borders of Europe since 1993. Documentation as of 5 May 2018 by UNITED for Intercultural Action. Facilitated by Banu Cennetoğlu. Presented at Great George Street, Liverpool Biennial 2018. 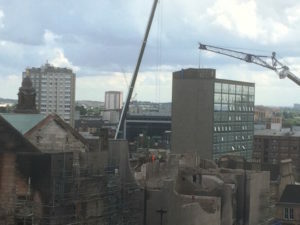 Photo taken 14 August 2018.